You Can Give Life and Meaning to a Forgotten Child. In Uganda, children with disabilities are pushed to the fringes of society. We believe each life is a unique gift to the world, so we offer these children life-changing physical aid and a renewed sense of purpose. Give your tax-deductible donation today. Create your own fundraising campaign for Imprint Hope. Children with disabilities in Uganda are forgotten and marginalized. 2.7 million children with disabilities in Uganda. 94% will not complete a basic education. Only 1% of teachers are trained to work with students with disabilities, and their resources are extremely limited. Adults often distance themselves from the children, believing their disability is contagious. Government efforts to help these children are not enforced, leaving them to struggle without aid. Provides vital resources (i.e. Occupational Therapy, Physical Therapy, wheelchairs, adaptive equipment, medical care) to boost the quality of life of children with disabilities. Inspires them by displaying the value, purpose, and beauty present in every child with a disability. Educates small communities on origins and causes of disabilities and what can be done to help their kids. Empowers the community to work together on sustainable rehabilitation. Loves these forgotten kids by lavishing understanding, attention and compassion on them. Your presence here shows me this child has a purpose. Hi! I’m Clare, the founder of Imprint Hope. I created this foundation out of a burning fire to bring help, hope, and purpose to children with disabilities in Uganda. I grew up alongside a sister with a disability. Although, it’s a challenge for Kate to use words to express her desires, thoughts, and feelings, I’ve never known a human love deeper than hers. Kate’s life has allowed me to peek inside the complex soul of a person with disability—and see how valuable, purposeful, and beautiful it truly is. That’s the experience I want to offer you through Imprint Hope—whether that’s serving, giving, or praying. You’ll begin to see the world differently. You’ll be more attentive to people you hadn’t noticed before. And you’ll have the opportunity to leave a powerful mark on a child’s life forever. This effort would never be possible if it weren’t for amazing donors and supporters. Will you join me in this mission? 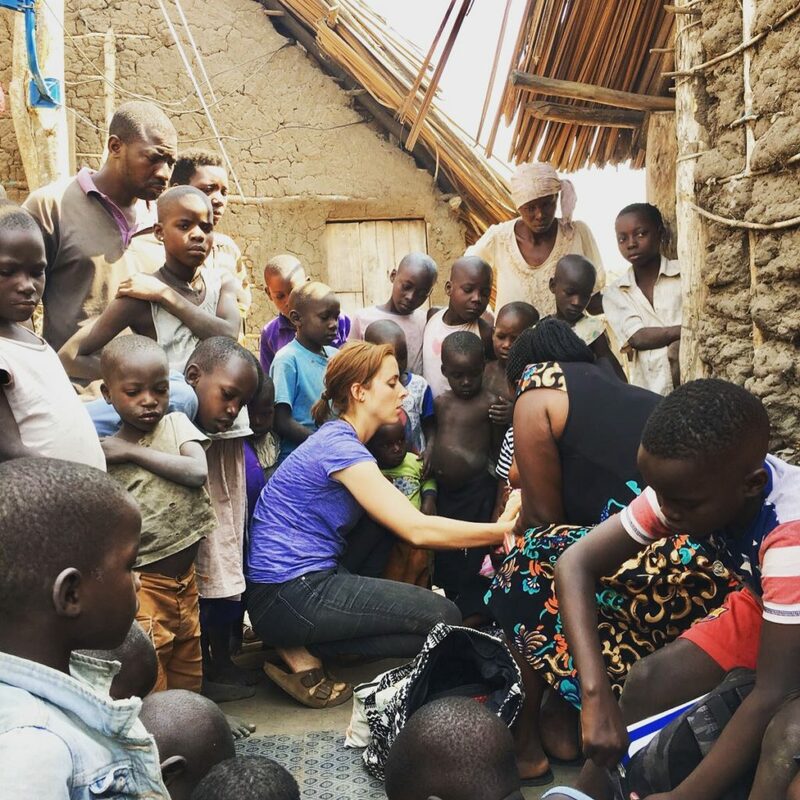 Every bit of help brings shockwaves of hope and life throughout Uganda. Get involved in the mission by clicking the button below!